The Detroit Lions' beleaguered season ended on a high note on Sunday, when almost everything went right for Detroit in a 31-0 win over the Green Bay Packers. 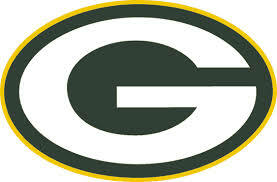 The Packers (6-9-1) trailed 21-0 at the half and lost Aaron Rodgers early in the second quarter after to a concussion. The quarterback was sacked and lost his helmet on the second play of the game. Lauri Markkanen had 18 points and 10 rebounds and Wendell Carter Jr. had 16 points and 11 rebounds for the Bulls, who didn't score for the first 3:19 of the fourth. Chicago's Zach LaVine fouled out with 13 points. It was a poor shooting night for LaVine, who went 3 for 17, including 0 for 3 from 3-point range. Carter ended Chicago's drought with a hook shot at 8:41. The Bulls missed 12 of their first 15 shots in the final quarter. Markkanen's 3 at 1:21 brought Chicago within 85-82, but Leonard answered with a pair of free throws. After a missed shot by Dunn, Siakam was fouled and made a pair, giving Toronto an 89-82 advantage with 25 seconds to go. CHAMPAIGN, Ill. (AP) — Anthony Adger scored a career-high 27 points to lead Florida Atlantic to a 73-71 upset win over Illinois in overtime on Saturday. Madiaw Niang added 12 points and grabbed a game-high 14 rebounds for his first career double-double for Florida Atlantic (9-4). Ayo Dosunmu led Illinois (4-9) with 21 points and Aaron Jordan scored 20. The Owls were 25 of 57 from the field (44 percent), compared to a 24-of-76 effort (32 percent) for Illinois. Illinois led 26-21 at the half after a slow start for both teams. The Illini missed nineteen layups in the game, twelve coming in the second half. Dosunmu hit a long 3-pointer from the right wing in the final seconds of regulation to tie the game at 63 and send it to overtime. Dosunmu missed a long 3-pointer at the buzzer that bounced off the rim. The Owls have proven themselves a tough opponent on the road, beating UCF 80-79 and then surprising Illinois on Saturday. Trent Frazier, the Illini’s leading scorer averaging 16.5 points per game coming into Saturday’s matchup, had a chance to win it in the waning seconds but missed two free throws with his team up 71-70. Frazier only scored two points in the first half and ended the game with nine. He shot 2 of 9 from the field and was only 1 of 5 from the 3-point line. Many of those misses either missed completely or banged off the rim. Frazier also had one assist and three turnovers. Saturday was the first matchup between the two teams, and a must-win for sputtering Illinois, which plays No. 23 Indiana later this week. Instead, it turned into a major showcase for Florida Atlantic. “It puts a nice little spotlight on us and our players,” May said. Things won’t get easier for Illinois with a tough slate of Big Ten games in January coming up against Indiana, Northwestern, No. 2 Michigan, Minnesota, No. 24 Iowa and No. 25 Wisconsin. Florida Atlantic: The Owls travel to the University of Alabama-Birmingham on Thursday. 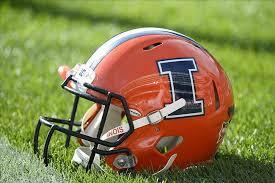 Illinois: The Illini play at No. 23 Indiana on Thursday. Stingy defense and a second-half offensive explosion was the recipe for success Saturday as the Clinton Lady Maroons defeated Prairie Central 45-26 for third place at the Riverton Holiday Classic. The Lady Maroons were led by Mallory Cyrulik with 16 points and 10 rebounds. Ryty Dupont-Barlow almost had a double-double as well, finishing with 10 points and nine rebounds. Seven different Lady Maroons scored in the win. Clinton finished 2-1 at Riverton and saw Clinton's Cyrulik and Claudia Workman named to the all-tournament team. Tune in Thursday around 7 to WHOW and dewittdailynews.com to hear the Lady Maroons in action against Tri-Valley. It took Tuscola nearly seven and a half minutes to record their first field goal and by the time they finally got on the scoreboard, the route was on as Monticello cruised to a 52-29 win for third place at the annual Holiday Hoopla. The Sages dished out 14 assists and committed just eight turnovers. They scored 30 points in the paint and turned 13 Tuscola turnovers into 16 points. Ben Singleton recorded a double-double with ten points and 12 rebounds. Briggs Fultz and David Alexander each had eight points. Fultz grabbed eight boards while Alexander pulled down seven. Alek Bundy added six points and six assists. The Sages take a week off before getting back to action next Saturday at the St. Joseph-Ogden shootout where they’ll meet the top team in Class 1A, Cissna Park. Hear all the action starting at 3 pm on 95.9 FM WEZC and online at dewittdailynews.com. GCMS used a 19-9 run in the fourth quarter to put away Monticello and wrap up third place in the girl's bracket from the Monticello Holiday Hoopla. Renni Fultz led Monticello with 13 points and shot 3-for-5 from the foul line. Lizzie Stiverson added eight points for Monticello. Megan Moody led all scorers with 15 points, finishing 5-for-6 from the foul line and made four straight free throws late to seal the win. The Lady Sages drop 5-9 overall while GCMS is 13-4. The Lady Sages are back in action Wednesday, January 3 hosting IVC. Hear all the action 95.9 FM WEZC and online at dewittdailynews.com. For the fourth time in the past five years, the Chicago Bears will visit the Minnesota Vikings in the last game on the schedule. For once, this matchup has some meaning. The Vikings, having already ceded the NFC North title to the Bears, have yet to secure a spot in the playoffs. The Bears could still improve their seed and snag that coveted first-round bye, if they win and the Los Angeles Rams also lose at home to San Francisco. If not, the Vikings (8-6-1) would be the likeliest opponent for the Bears (11-4) in the wild-card round next week. 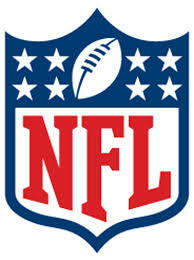 The NFL arranged the schedule to minimize the anticlimactic outcomes, moving the Bears-Vikings game to the late-afternoon slot so it would be played simultaneously with Eagles-Redskins, Cardinals-Seahawks and 49ers-Rams. The Vikings are guaranteed the last wild-card spot if Philadelphia loses at Washington. They would get the No. 5 seed and a first-round game at Dallas with a win and a loss by Seattle at home to Arizona. Their long-shot scenario is starting the postseason in Los Angeles, if they lose to the Bears and the Rams and Eagles lose, too. The Green Bay Packers are 2-1 under interim head coach Joe Philbin going into their season finale against the Detroit Lions, who have stumbled to the finish line having lost seven of their past nine games. Coach Matt Patricia's job seems safe, though his first year in the Motor City has definitely been disappointing. With the playoffs out of sight for each team, the Lions and Packers go into their game at Lambeau Field hoping to ride a win into the offseason. The Lions (5-10) were assured of their first last-place finish since 2012 following a 27-9 loss to Minnesota last week. While the Packers (6-8-1) are assured of a second straight losing season, they at least seem to be rejuvenated since Philbin was promoted from offensive coordinator to interim head coach following the firing of Mike McCarthy. A 44-38 win in overtime over the New York Jets finally got the Packers their only road victory of the season. Linebacker Clay Matthews missed practice at midweek with a back injury, while receiver Randall Cobb sat out while in the concussion protocol. Both veterans are free agents after this season, meaning they could be playing their last games at Lambeau as Packers — if they're healthy enough to play at all. Patrick Kane had a hat trick, Brandon Saad scored twice and Chicago beat the Minnesota Wild 5-2 on Thursday night for its fourth victory in five games. Chicago went 2 for 4 on the power play, scoring more than one goal with the man advantage for the first time this season. The Blackhawks are at Colorado on Saturday. Robert Thomas had a goal and an assist and Jake Allen made 30 saves to lead the St. Louis Blues to a 4-1 victory over the Sabres on Thursday night. 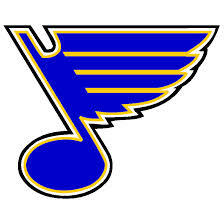 Jay Bouwmeester, Pat Maroon and Ryan O'Reilly scored for the Blues. Jack Eichel scored his 15th goal of the season in the second period for the Sabres. Carter Hutton stopped 28 of 32 shots in his first appearance against St. Louis after spending the previous two seasons with the Blues. He lost his third consecutive start and fell to 13-11-2 on the season and 0-3-3 against his former teammates. Allen improved to 13-10-4. He has won five of his last seven starts and improved to 6-1-0 against Buffalo. Bouwmeester pushed the lead to 2-0 10:01 into the second period. He one-timed a feed from David Perron and scored his first goal since Feb. 13, 2018, at Nashville. Maroon added some insurance when he backhanded a pass from Thomas past Hutton while positioned behind the goal line. It was his third goal of the season. O'Reilly put the game out of reach when he scored his team-leading 14th goal of the season late in the third period. The Blues host Pittsburgh on Saturday. Kanter was ejected with 9:56 left in the fourth quarter after being assessed two technical fouls. Antetokounmpo drove to the basket and was knocked down by Kanter, although no foul was called. The two got into a brief altercation as Antetokounmpo ran back up the court. After a review, each player was called for a technical, then Kanter was called for a second. Kanter was hit near his eye on the previous play at the other end, eventually requiring three stitches. Milwaukee used an 18-2 run midway through the second quarter to open a 44-37 lead. The Bucks extended the lead to 87-77 entering the final period. Ethan Miller broke a tie with a three-pointer to start the fourth quarter and then hit a go-ahead three with 5:18 left as Monticello held off Ridgeview 38-35 from the Monticello Holiday Hoopla basketball tournament Wednesday afternoon. Miller’s second three of the fourth quarter gave Monticello a 31-29 advantage and Devin Graham hit a three with 4:18 left that stretched the advantage to 34-29. Graham later sealed the win with a pair of free throws to make the score 38-32 with six seconds left. Monticello’s leading scorer Ben Singleton exited with 2:06 in the first quarter with foul trouble. The Sages have struggled recently without Singleton in the lineup but the Sages outscored Ridgeview 11-6 the rest of the half to take an 18-12 advantage into the half. Graham led all scorers with 17 points, his second straight game with 17. He finished 4-for-4 from the free throw line and 3-for-7 from beyond the arc. Miller added eight points and Alek Bundy and David Alexander each grabbed a team-high four rebounds. Ryan Parker finished with a double-double for the Mustangs with 11 points and 10 rebounds. Neither team shot exceptionally well. Ridgeview finished 36% (14-for-39) from the floor while Monticello shot 39% (14-for-36) from the floor. Monticello improves to 10-2 overall and will play for third place in the Hoople tomorrow (Friday) night at 6 pm. Ridgeview drops to 6-7 overall. Hear boys third place action at 6 pm on 95.9 FM WEZC and online at dewittdailynews.com. Hear girls third place action as well from the Hoopla at 4 pm also on WEZC and online at dewittdailynews.com. The Clinton Lady Maroons fell behind the #1 seeded Hillsboro Hilltoppers early Thursday afternoon at the Riverton Christmas Classic, and were not able to rally for an upset. Hillsboro jumped out to a 32-21 half time lead against the #4 seeded Lady Maroons, and held on for a 49-42 victory. Clinton was led by a double/double effort from Claudia Workman, who totaled 10 points and 10 rebounds. Mallory Cyrulik added 11 points and 6 boards in the loss. Hillsboro was led by a 29-point effort by Sammi Matoush. Both teams continue play at the Riverton Christmas Classic on Friday. The Heyworth Hornets girls basketball team fell to 0-2 at the Riverton Christmas Classic Thursday. Auburn topped Heyworth, 59 to 48, in the second day of play. The Hornets fell to Tremont on Wednesday. Auburn, who were coming off a first round loss to Clinton, jumped out to a 25-6 lead in the first quarter, and never looked back. The Trojans were led by freshman Marley Smith with 17 points and 10 rebounds. Heyworth had three girls in double figures in the loss. Lena Luebbering had 18 points and 8 rebounds. Shae Ruppert added 16 points, and Raeghan Morefield posted a double/double with 10 points and 11 boards. Derrick Rose had 24 points and eight assists in just his second career game in the United Center against his former team, lifting the Minnesota Timberwolves to a 119-94 victory. The Timberwolves' advantage was 60-37 at halftime. The Bulls are at the Washington Wizards Friday night. The Pacers, who began the night with the third-best record in the Eastern Conference, have won 10 of 12. The Pacers host Detroit on Friday. The NFC North champion Chicago Bears are rolling along with eight wins in nine games and their first playoff appearance in eight years approaching. Coach Matt Nagy hopes they haven't hit their peak. "I want us to get to a point where we literally don't peak until wherever our final game is of the year," he said Wednesday. The Bears (11-4) head to Minnesota for Sunday's regular-season finale with a shot at the No. 2 seed in the NFC and the first-round bye. They need to beat the Vikings for the second time and get some help from San Francisco when the struggling 49ers visit the NFC West champion Rams. Chicago trails Los Angeles (12-3) by a game, but holds the head-to-head tiebreaker thanks to a 15-6 victory at Soldier Field on Dec. 9. Safety Eddie Jackson (ankle), linebacker Aaron Lynch (elbow) and WR Allen Robinson (ribs) did not practice on Wednesday. Defensive lineman Bilal Nichols (knee) was limited. Packers wideout Davante Adams is optimistic that he will be able to play in Green Bay's season finale against the Detroit Lions, a game in which he would have a shot to break a couple of franchise receiving records. Adams missed practice on Wednesday. The star receiver hurt his right knee in last week's 44-38 overtime win over the New York Jets. With 111 catches, Adams is two shy of breaking the club record set by Sterling Sharpe in 1993. He's also 134 yards shy of breaking the single-season mark set by Jordy Nelson (1,519) in 2014. Green Bay's lengthy injury report lists nine players who sat out practice on Wednesday, including Adams and five other starters. Cornerback Jaire Alexander (groin), left tackle David Bakhtiari (hip) and linebacker Clay Matthews (back) were among those who sat out. Receiver Randall Cobb (concussion), who missed last week's game, also sat out practice. Tight end Jimmy Graham (knee/thumb) has regularly missed practices on Wednesdays during the year for maintenance. Quarterback Aaron Rodgers, a regular on the injury report this year, said that he plans on playing in the finale even if Bakhtiari can't go. Bakhtiari, the Packers' best lineman, has often said that he plays if Rodgers plays. After clawing back from a ten point fourth quarter deficit, the Monticello Sages offense went dry and Paxton-Buckley-Loda held on for a 54-49 win in the second game of the day for both squads. Ethan Miller hit a three to put the Sages up 47-46 as part of a 13-3 run that saw the game tied at 49 but the Panthers scored the next five points, including two free throws by Austin Gooden to seal the win with 5.3 seconds left. The Panthers upset Ridgeview in their first game of the day and a Thursday afternoon win over Oakwood would put PBL in the championship game of the Holiday Hoopla. The Sages led 14-10 after the first quarter but PBL pulled away at the half with a 21-10 second quarter as the Sages offense struggled. The Sages drew within two points of the lead on two occasions and until Miller gave Monticello the lead in the fourth, they had not been able to get over the hump. Devin Graham led all scorers with 17 points. He dished out four assists and pulled down three rebounds. Ben Singleton and Miller each finished with nine points. Singleton pulled down a game-high seven boards. The Sages turned the basketball over 20 times while PBL committed 19 turnovers. Monticello wraps up pool play in the Hoopla Thursday afternoon at 3:30 pm with a matchup against Ridgeview. Hear the action on 95.9 FM WEZC and online at dewittdailynews.com. As heard on WHOW, the Clinton Lady Maroons defeated the Auburn Lady Trojans by a score of 40-32 on Wednesday afternoon at the Riverton Christmas Classic. Destiny Schlesinger led the Lady Maroons with 15 points. Mallory Cyrulik added 12. Auburn was led by Marley Smith with 22 points. The Lady Maroons improve to 8-7 and Auburn falls to 4-10. Tune in Thursday, January 3, as the Lady Maroons take on Tri-Valley. You can hear the game live on the Big 1520 AM/92.3 FM/106.5 FM WHOW, online at dewittdailynews.com, and on the WHOW app. The Monticello Sages beat Oakwood by a score of 35-32 Wednesday morning. The Sages were led by Ben Singleton with 16 points, Deven Graham with 6 points, seven rebounds, and six assists, and Ethan Miller with 6 points and five rebounds. Oakwood was led by Bryce Jones with 13 points. With the win, the Sages improve to 9-1 overall. Tune in Wednesday, December 26th at 7:30 pm as the Sages take on PBL. You can hear the game live on 95.9 FM WEZC and online at dewittdailynews.com. The Monticello High School annual Holiday Hoopla tournament kicks off this morning and the Sages boys basketball squad will play a pair of games in the opening day of the three-day tournament. The Sages open the day with an 11:30 am game against 7-4 Fithian Oakwood. Off a tough 58-48 loss at Marshall Friday night, the Sages will look to rebound in their own tournament, which they have not championed since 2012. Until last year when GCMS took home the Hoopla title, Ridgeview had won four straight titles. The Sages conclude play tonight when they take on Paxton-Buckley-Loda at 7:30 pm. PBL is 6-2 overall. Hear all today's action from Monticello High School on 95.9 FM WEZC and online at dewittdailynews.com. Following a nearly ten-day hiatus from action, the Clinton Lady Maroons basketball squad will head to the annual Riverton Holiday Tournament today. The Lady Maroons will tip today at 3 pm. Hear the action on The Big 1520 AM/92.3 FM WHOW and online at dewittdailynews.com. The Clinton Maroons boys basketball team is off until after the New Year holiday break. The Maroons are off a 63-37 win at home against Argenta-Oreana last Tuesday night. They followed that up with a 56-29 loss at LeRoy on December 21st. The Maroons next contest is at Tuscola next Friday night before a game at the annual Clinton High School New Year's Showdown. The next broadcast of Clinton Maroons boys basketball will Saturday, January 5 from the New Year's Showdown at 7:30 pm as they host Sangamon Valley. Hear the action on 92.3 & 106.5FM WHOW and online at dewittdailynews.com. The Chicago Bears head into their final regular-season game with a shot at an opening-round bye and some extra rest for their first playoff appearance in eight years. Consider those sweet incentives for the NFC North champions. A victory at Minnesota combined with a loss by the Los Angeles Rams to the San Francisco 49ers would give the Bears the second seed in the conference and a bye. Chicago and Los Angeles kick off at the same time. And if it becomes clear the Bears have little shot at catching the Rams, Matt Nagy figures to ease up and start pulling his best players. But for now, he's all-in. The Bears are the No. 3 seed in the NFC, a game behind the Rams. But they hold the head-to-head tiebreaker after shutting down Jared Goff and Los Angeles' high-powered offense in a 15-6 victory at Soldier Field on Dec. 9. If they don't get the second seed, they could wind up playing Minnesota in back-to-back weeks. The Vikings are sixth in the NFC and fighting to hang onto a playoff spot. The Bears are rolling with eight wins in nine games, surviving a fight and a late fumble to beat San Francisco 14-9 on Sunday. Giannis Antetokounmpo had 30 points and 14 rebounds, and Milwaukee celebrated its return to the Christmas schedule by beating the New York Knicks 109-95 on Tuesday. Brook Lopez scored 20 points for the Bucks, who played on Christmas for the first time since 1977. Malcolm Brogdon finished with 17 points for the Bucks. Rookie Kevin Knox scored 21 points for the Knicks, who have lost six straight Christmas Day games. Kyrie Irving scored six of his 40 points in overtime, hitting back-to-back 3-pointers while leading Boston back from a five-point deficit as the Celtics beat the 76ers 121-114 on Tuesday night. The Los Angeles Lakers lost LeBron James in the third quarter to a strained left groin then went out and beat the two-time defending champions without him Tuesday night, getting King James' 17 points, 13 rebounds and five assists before the injury in a surprising 127-101 rout of the Golden State Warriors. Stephen Curry made consecutive 3s shortly after James exited, and the Warriors got within 78-76 at the 2:48 mark of the third - but Kyle Kuzma and the persistent Lakers stayed at it every possession. Curry wound up with 15 points but the home fans had seen enough well before the final buzzer and headed out for the rest of Christmas. Kuzma contributed 19 points with a pretty baseline 3 late, Ivica Zubac had 18 points and 11 rebounds and Rajon Rondo 15 points and 10 assists off the bench. Mitchell Trubisky threw one TD pass and the Chicago defense used a couple of key late stops to keep San Francisco out of the end zone, leading the Bears to their eighth win in nine games, 14-9 over the 49ers on Sunday. The game turned feisty in the fourth quarter when San Francisco safety Marcell Harris hit Trubisky after he started sliding on a scramble near the Bears' bench. Trubisky's teammates took exception to what they considered a ''dirty'' hit and a scuffle ensued with punches being thrown and San Francisco cornerback Richard Sherman and Chicago receivers Joshua Bellamy and Anthony Miller all getting ejected. Aaron Rodgers threw a 16-yard touchdown pass to Davante Adams with 6:23 left in overtime, capping an eye-popping performance by leading the Packers to a wild 44-38 victory over the New York Jets on Sunday. Lauri Markkanen scored 31 points and the Bulls won consecutive games for the first time this season, beating the Cleveland Cavaliers 112-92 on Sunday night. Cavaliers coach Larry Drew told his players following the game he was disappointed they didn't play with more energy, particularly when Chicago took control after Cleveland led 67-66 midway through the third period. Missouri basketball coach Cuonzo Martin is from Illinois, and he has stocked his roster with five scholarship players from his home state. They will enjoy their trips home for Christmas a little more after the Tigers beat Illinois 79-63 Saturday night. Sophomore forward Jeremiah Tilmon and freshman guard Javon Pickett, who both signed letters of intent with Illinois out of high school before switching their allegiance to Missouri, had big nights. Tilmon scored 16 points and grabbed 12 rebounds, and Pickett added 16 points on 7-of-8 shooting from the field. Jordan Geist led the Tigers with 20 points and seven assists. Trent Frazier led the Illini with 28 points, and Giorgi Bezhanishvili and Aaron Jordan added 10 points each. Boos rained on Tilmon and Pickett from the Illinois side of the arena, but the loudest boos were directed at Missouri’s Mark Smith, who played for the Illini last year before transferring. Smith scored just five points on 2-of-8 shooting. “I heard them, for sure,” Tilmon said of the boos. Geist and Frazier carried their teams in the first half. Frazier made 5 of 6 shots from 3-point range and had 17 points at halftime. Geist hit 3-pointers on three straight possessions and drew two charges to help the Tigers grab a 39-35 halftime lead. Frazier put Illinois in front for the first time since the first half when he drove to the left block and kissed a shot off the glass with 7:43 left in the game. But Tilmon put Missouri right back in the lead at 58-56 with a dunk and free throw on the next possession and the Tigers pulled away. “Give Missouri credit, they made just about every play in those last seven minutes,” Illinois coach Brad Underwood said. Since arriving at Missouri two years ago as a lightly regarded junior college transfer, Geist earned a reputation as a feisty player who gets under the skin of opponents. That side was evident early, when he and Illinois’ Ayo Dosunmu were both hit with technical fouls after they got into a dispute. The difference between his sophomore and senior years is that Geist is now far more than an agitator. He is Missouri’s leading scorer at 13.4 points per game. Geist, a point guard, committed only two turnovers against the Illini’s pressure defense. After missing just one 3-point attempt in the first half, Frazier cooled off in the second half, making just 1 of 7 from 3-point range. He also missed the front end of a one-and-one free throw opportunity while Missouri went on its late-game run. The Illini made just 7 of 14 free throws as a team. Illinois: The Illini are off to their worst start since the 1974-75 season, when they also started 4-8 on their way to an 8-18 mark in Gene Bartow’s only season as coach. With eight scholarship newcomers on the roster and a nonconference schedule loaded with high-major opponents, the rough start hasn’t been totally unexpected. Missouri: Hopes shrank for the Tigers when do-it-all sophomore forward Jontay Porter suffered a season-ending knee injury in an October scrimmage. After starting the season 3-3, they have won five straight — including victories over UCF, Xavier and now Illinois — raising the possibility that this won’t be the rebuilding season many expected. Illinois: The Illini return to action Saturday with a home game against Florida Atlantic. Missouri: The Tigers will complete their nonconference schedule with Saturday’s home game against Morehead State. Aubrey Dawkins made five 3-pointers and scored 18 points, Tacko Fall posted his 20th career double-double and UCF defeated Illinois State 77-56 on Friday night. The Monticello Sages fell to Marshall by a score of 48-58 on Friday night. The Sages were led by Devin Graham with 10 points, Ryan Reeder with 10 points, and David Alexander 9 points. Marshall was led by Jadon Wallace with 16 points and Ethan Harper with 12 points. With the loss, the Sages fall to 8-1 overall. Tune in Next week on Wednesday, December 21st at 11:30 am and at 7:30 pm as the Sages take on Oakwood and PBL. You can hear the game live on 95.9 FM WEZC and online at dewittdailynews.com. With the annual Monticello Holiday Hoopla next week, the Monticello Sages boys basketball squad will head to Marshall tonight for their final tune-up before the annual round-robin. The Sages secured a pair of wins last Saturday in Greenville over Hillsboro and Greenville to keep their undefeated mark alive. They'll put that 8-0 mark on the line tonight against the 7-3 Lions. Marshall dropped a close one to Tolono Unity in overtime in early December, however, since that time they have rattled off four straight wins. Game time tonight is 7:30 pm. Hear all the action on 95.9 FM WEZC and online at dewittdailynews.com. 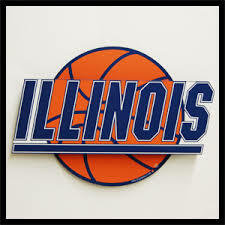 The 4-7 Illinois Fighting Illini will look to keep their win streak alive in the annual Braggin' Rights rivalry game Saturday night against Missouri at the Enterprise Center in St. Louis. Illinois off a win last Saturday against East Tennessee State looks to be picking up some momentum after losing seven of their first nine games. The Illini beat UNLV two weeks ago at the State Farm Center. The Tigers have won four straight games, their latest was a Tuesday win at home over Xavier. Game time from St. Louis is 7 pm local time on the Big Ten Network. With a first round bye still on the table for the Chicago Bears, this weekend's game in San Francisco still has a lot of meaning for the Monsters of the Midway. 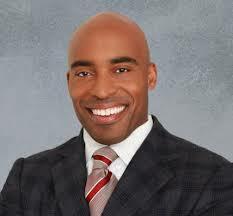 At 10-4, the Bears have been the NFLs biggest surprise and former NFL running back and current CBS Sports analyst, Tiki Barber says the Bears use a combination of old school and new school philosophy to win games. The Bears, who are 3-3 on the road this year, finish at San Francisco and at Minnesota next week. The Packers are old and stale. That is the take from a former NFL running back and current CBS Sports analyst. Tiki Barber points to the Packers aging offensive line and the stale offensive schemes the Packers showed under former head coach, Mike McCarthy. Barber points to how the Packers utilize tight end Jimmy Graham and then find a dynamic running back and find a versatile running back. The Packers take on the Jets in East Rutherford, NJ this weekend. Aaron Rodgers status is still up in the air and the Packers put RB Aaron Jones on injured reserve earlier this week. The St. Louis Cardinals are close to a deal with free agent reliever Andrew Miller, according to multiple reports. It will be a multi-year deal, reports Jeff Passan of Yahoo. Miller had received multiple two-year offers but has been seeking a three-year deal. Miller, who will turn 34 on May 21, struggled in 2018 and missed time due to hamstring and shoulder issues while also ending up on the 60-day disabled list because of a right knee injury. He finished with a 4.24 ERA in just 34 innings. Last season's injuries and struggles aside, Miller has been arguably one of the game's best relievers in recent years and he was an essential part of the Cleveland Indians' American League pennant-winning team in 2016. From 2014-17, Miller complied a 1.72 ERA with averages of 14.5 strikeouts and 2.3 walks per nine innings. In 22 playoff games, Miller has a 1.09 ERA and 48 strikeouts from 33 innings pitched. He's only walked 11 for a 0.879 WHIP. The Chicago Cubs and Entercom announced a multiyear contract extension to radio play-by-play announcer Pat Hughes on Thursday. Hughes, who joined the Cubs radio broadcast in 1996, will enter his 24th season as the voice of the Cubs alongside analyst Ron Coomer on WSCR-AM. Terms were not disclosed. Hughes began his baseball play-by-play career with the San Jose Missions (1978-1981) and the Columbus Clippers (1982). He joined Bob Uecker on the Milwaukee Brewers Radio Network before signing on with the Cubs. Hughes has been named the Illinois Sportscaster of the Year eight times. Patrick Kane had two goals and an assist, and the Blackhawks beat the Dallas Stars 5-2 on Thursday night for their first win streak in two months. The Blackhawks complete a two-game trip on Friday at Colorado. Jacob Markstrom made 29 saves to lead the Vancouver Canucks to a 5-1 victory over the St. Louis Blues. The Blues visit Calgary on Saturday. University of Illinois head football coach Lovie Smith announced Wednesday the signing of 11 student-athletes to National Letters of Intent during first day of the early signing period. 2019 signees DB Marquez Beason (247sports rating of .9613, No. 84) and QB Isaiah Williams (247sports rating of .9502, No. 109), are the highest rated Illini recruits since DB Terry Hawthorne in 2009 (No. 72), and the highest duo since Arrelious Benn (No. 12) and Martez Wilson in 2007 (No. 15). St. Louis defensive lineman Moses Okpala is rated a four star by ESPN. The second straight year Smith has been able to sign a four-star defensive lineman. Smith said quote - "The Illinois Football family got better today." Spencer Dinwiddie scored 27 points off the bench and made a critical defensive play in the final seconds, lifting the Brooklyn Nets over the Chicago Bulls 96-93 Wednesday for their seventh consecutive victory. 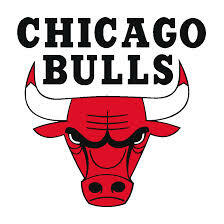 The Bulls host the Orlando Magic on Friday night. Fred VanVleet hit a go-ahead 3-pointer with 25 seconds left and the Toronto Raptors rallied from a 17-point deficit to beat the Pacers 99-96 on Wednesday night. 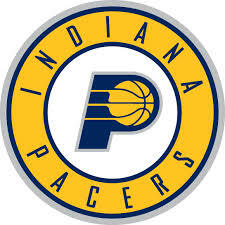 One night after he missed a pair of free throws in the final 10 seconds and Indiana surrendered a tip-in at the buzzer in a 92-91 loss to lowly Cleveland that ended a season-long winning streak, Oladipo and the Pacers stumbled again. Oladipo turned the ball over twice in the final minute Wednesday - once when he failed to get across mid-court within eight seconds. Oladipo scored 20 points for the Pacers, who made only 5 of 18 shots in the fourth, scoring 11 points. Indiana finished with 23 turnovers, including six by Oladipo and five from fellow guard Darren Collison. The short-handed Raptors were without starting point guard Kyle Lowry, who missed his third straight game because of a sore left thigh, and center Serge Ibaka, who was inactive because of a sore right knee. VanVleet and Siakam returned to the starting lineup after missing Sunday's loss at Denver because of back soreness. The Pacers visit Brooklyn on Friday night. Reaction to the IHSA ruling Tuesday to eliminate conferences in 2021 has been received to mixed reviews. The ruling would eliminate conferences and pit schools into a district style format come 2021 with two non-district games, otherwise, the schedule would be determined by the IHSA. Clinton High School football coach, Chris Ridgeway says there's a lot of questions he has about the proposal, leaving him feeling like the decision was rushed into. Maroa-Forsyth football coach, Josh Jostes was an advocate for the change. He explains ten years ago, he would not have been for this change but his program has been in three conferences in five years. Lincoln High School is another example of a school that has joined a new conference in recent years. Football coach Matt Silkowski says he is excited about the proposal and possibly seeing some new teams every few years. While Coach Ridgeway says it may end up changing a lot of how he coaches and prepares in the future, Coach Silkowski was not concerned about that. He says it is still about preparing his team to play good football. Clinton and Lincoln are scheduled to meet in a non-conference football game in 2020. Quan Jackson scored eight of his 22 points in overtime to help Georgia Southern beat Bradley 79-74 on Tuesday night. The Braves closed regulation on a 6-0 spurt to force overtime tied at 59. Jackson made two 3-pointers and two free throws and the Eagles led 71-68 with 1:55 remaining in OT. Montae Glenn hit a jump shot and Tookie Brown split a pair of free throws to stretch the lead to 74-68 with 37 seconds left. Georgia Southern (8-3) has won two straight and three of its last four games while Bradley (7-5) has lost four of its last five. Isaiah Crawley added 15 points for Georgia Southern. Brown made 11 of 14 free throws and finished with 15 points. Elijah McCadden chipped in with 11 points and Glenn had 10 points and 11 rebounds. 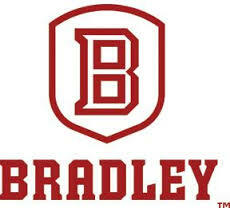 Nate Kennell made five 3-pointers and scored 17 points to lead Bradley. The Braves return to action Saturday afternoon for a game with Southeast Louisiana in Peoria. Larry Nance Jr finished with 15 points, a career-high 16 rebounds, six assists and the first game-winning shot of his pro career to give the Cavaliers a rare 92-91 road victory. It ended Indiana's seven-game winning streak. Domantas Sabonis had 17 points and eight rebounds while Bojan Bogdanovic added 14 points for the Pacers, who seemed to get caught overlooking one of the league's worst teams with a showdown at Toronto looming Wednesday. Alex Burks had 14 pints, Cedi Osman had 13 and Collin Sexton had 12. Matthew Dellavedova scored 10 points and has reached double figures in all five games he's played since Cleveland reacquired him in a recent trade. Myles Turner had 12 points, 10 rebounds and four blocks. Oladipo wound up with 12 points, five rebounds and five assists on 4 of 15 shooting. The Pacers hope to snap a nine-game losing streak at Toronto on Wednesday. 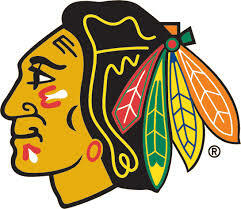 Cam Ward made 30 saves Tuesday night, leading the Blackhawks to a 2-1 victory over the Nashville Predators. Defensemen Gustav Forsling and Erik Gustafsson scored for last-place Chicago, which had dropped 10 of 11. Patrick Kane picked up an assist on Gustafsson's tiebreaking goal in the second period, giving him at least one point in seven of his last eight games. Ward was terrific in the Blackhawks' first game since Crawford was placed on injured reserve after sustaining a concussion for the second straight season. The two-time All-Star got hurt in the first period of Sunday's 7-3 loss to San Jose when the back of his head struck the right post during a scary goalmouth pileup. The Blackhawks visit Dallas on Thursday night. Pat Maroon was credited with the tiebreaking goal following a replay review early in the third period, and St. Louis went on to a 4-1 victory over Edmonton. David Perron, Vladimir Tarasenko and Jaden Schwartz also scored for the Blues, who have won three of four. Brayden Schenn had three assists. Jesse Puljujarvi scored for the Oilers, who had won six straight home games. The Blues second stop on a three-game Western Canada swing comes Thursday in Vancouver. Green Bay Packers running back Aaron Jones will miss the final two games of the season after being placed on injured reserve. The team's leading rusher left the 24-17 loss to Chicago on Sunday in the first quarter with a knee injury. The defeat helped eliminate the Packers from playoff contention. Jones ran for 728 yards and eight touchdowns on 133 carries in 12 games, including eight starts. He was among the league leaders in averaging 5.5 yards per attempt. Jones was suspended by the NFL for violating the league's substance abuse policy and missed the first two games this year. 16 points. Ben Nelson added 12 points and Zeke Hickman chipped in 10 in the win. The Bombers got 10 points from both Logan Batson and Ryan Gifford in the loss. With the win, the Maroons improve to 5-8. The Bombers fall to 2-6 after the loss. 3 PM, when the Clinton girls basketball team competes in the Riverton Tournament. Paul George scored 16 of his game-high 24 points in the final five minutes of the first half and the Oklahoma City Thunder rolled to a 121-96 victory over the Chicago Bulls on Monday night in a chippy game in which both teams were assessed technical fouls following a second-quarter fracas. The Bulls are at home against Brooklyn on Wednesday. The Lady Sages fall to St Teresa by a score of 52-26 on Monday night. The Sages were led by Cloe Clark with 8 points. St. Teresa were led by Addison Newbon with 19 points and Kenzie Snow with 13 points. With the Loss the Lady Sages fall to 2-5. Tune in January 3rd as the Lady Sages take on Prairie. You can hear the game live on 95.9 FM WEZC and online at dewittdailynews.com. The Clinton Lady Maroons fell to El Paso-Gridley Titans by a score of 42-30 on Monday night. The Maroons were led by Mallory Cyrulik with 14 points, Maddie Stevens with 7 points, and Claudia Workman with 3 points. The Titans were led by Jordyn Cannon with 13 points, Ashlyn Stone with 10 points, and Addison Benedict with 6 points. With the loss the Lady Maroons fall to 2-3 overall. Tune in 12/26 as the Lady Maroons take on the Riverton Tournament. You can hear the game live on The Big 1520 AM/ 92.3 FM WHOW and online at dewittdailynews.com. The Bears (10-4) secured their first playoff appearance since the 2010 team won the NFC North, and clinching with a rare victory over their heated rivals made it all the more sweet. Trubisky gave them a 21-14 lead early in the fourth quarter with a 13-yard pass to Trey Burton in the left side of the end zone. The throw over the middle was intended for Jimmy Graham near the goal line. But the ball got tipped to Jackson, who had to be helped off the field when his right leg bent awkwardly as he tried to slide on the return. The interception was Jackson's sixth of the season. Mack led another strong effort by the defense after the Monsters of the Midway shut down Jared Goff and the NFC West champion Los Angeles Rams the previous week. Mack had 2½ sacks and Leonard Floyd added two. Rodgers was 25 of 42 for 274 yards with his second interception of the season. It was also the first game this year in which he failed to throw a touchdown pass. Melker Karlsson, Evander Kane, Kevin Labanc, Tomas Hertl and Logan Couture each had a goal and an assist, and the San Jose Sharks rallied to beat the Chicago Blackhawks 7-3 on Sunday night for their fourth straight win. Chicago goalie Corey Crawford left the game with 1:30 left in the first period after the back of his head struck the right post during a goalmouth pileup. He allowed two goals on eight shots and exited with the Blackhawks leading 3-2. After the game, the Blackhawks said that Crawford had been diagnosed with a concussion. Martin Jones started in goal for San Jose, but was replaced by Aaron Dell late in the first after allowing Chicago's three goals on four shots. Dell blocked all 16 shots he faced as the Sharks roared back. The 33-year-old Crawford was pulled from a Dec. 23, 2017, game at New Jersey with a concussion, then missed the remainder of the 2017-18 season and the first five games of 2018-19. He returned on Oct. 18 against Arizona and was 6-14-2 with a 3.23 goals-against average in 22 games entering Sunday's contest. DeBrincat opened the scoring 2:34 in. Jones got his right pad on DeBrincat's 35-foot shot from the left circle, but the puck rolled over and in. Strome made it 2-0 from the slot on a deflection of Connor Murphy's shot from the right point. Karlsson beat Crawford on the stick side with a wrist shot from the circle at 9:58 to cut Chicago's lead to 2-1. Sorensen tied it from the crease when he swept in a backhander from the crease after taking a pinpoint pass from Joe Thornton. Perlini put Chicago back in front, 3-2, at 12:54 on a rebound after Dylan Sikura broke in and was stopped by Jones. Dell replaced Jones at the start of a penalty to San Jose's Brenden Dillon a minute later. Kane tied it 3-all at 4:21 of the period with a power-play goal, firing in a rebound of Brett Burns' shot from the points. Goodrow put San Jose ahead 4-3 at 7:36 with a midair deflection of Justin Braun's drive from the top of the slot. Couture made it 5-3 with 3:44 left in the second when Dillon's shot from the point struck the shaft of his stick and flipped past Ward. Labanc scored on wrist shot from the circle with 6:57 left in the third to make it 6-3. Hertl completed the scoring with 1:33 left. Kris Dunn scored 24 points, Lauri Markkanen added 23 and the Chicago Bulls rallied from a 21-point deficit in the second half to stun the San Antonio Spurs 98-93 on Saturday night. The rally snapped Chicago's three-game skid and ended San Antonio's four-game winning streak. Bobby Portis' nine-foot jumper with 1:39 remaining in the game gave Chicago its first lead since a pair of one-point advantages in the opening two minutes of the game. Dunn added six points in the final 40 seconds to complete the come-from-behind victory for a Bulls team that struggled to gain any momentum in the first half. Aldridge scored six of the Spurs' first eight points and reached double figures seven minutes into the game. San Antonio guard Marco Belinelli, who finished with 12 points, made his first four 3-pointers and finished 4 of 5. The Spurs led 62-43 entering the second half but promptly committed four turnovers in the opening two minutes of the third quarter. The miscues only trimmed the lead to 64-48, but prompted an early timeout by an agitated Gregg Popovich. The Spurs committed seven turnovers in the second half. Ryan Arcidiacono finished with 12 points for the Bulls. Monticello had the Comets Quad and came out victorious as they beat Greenville 40-37 and Hillsboro 60-27. The Comets were led by Chad Stearns with 12 points, and 6 rebounds, followed by Brock Nelson with 9 points. For the Hillsboro game Sages played tremendous defense holding Hillsboro to just 27 total points. Sages had trouble quick in the first quarter, as Hillsboro Jarod Griggs quickly put up 6 points and that would be it. Monticello switched things up on defense then holding Griggs to just 9 points in the entire game, and also Hilltoppers leading scorer. Sages were led by Devin Graham who put 12 points and feeding the ball to almost everyone except Garrett Kepley who was out due to an injury. Next, for the Sages, they will travel to Marshall on December 21 to complete their pre-Christmas games. Tune in on 95.9 FM WEZC or stream at dewittdailynews.com at 7:30 PM. As heard on WHOW, the Clinton Maroons fell to the Beardstown Tigers by a score of 55-37 on Saturday afternoon. Cal Case led the Maroons with 9 points. For Beardstown, they were led by Pascal Guilavogui with 18 points. Jaholiel Rodriguez also chipped in with 16. With the loss Maroons fall to 4-8 and Beardstown improves to 7-3. Tune in Monday, December 17, as the Lady Maroons take on El Paso-Gridley. You can hear the game live on the Big 1520 AM/92.3 FM/106.5 FM WHOW, online at dewittdailynews.com, and on the WHOW app. Ethan Miller steals the ball throws off the glass for Ben Singleton slams down the ball, and the Sages rally in the 2nd half to win their 6th straight game 52-49. The Monticello Sages were home to play against the Rantoul Eagles. The Eagles dominated the 1st half getting many seconds out rebounding Monticello 9 to 20. That wouldn't hold Monticello down as they were able to come back in the 2nd half putting up 17 points in the third quarter and 14 in the fourth quarter. Ben Singleton led the Sages in points with 20, and with the help of Ethan Miller stealing the ball midway through the third quarter throwing it up off the glass and Singleton slamming the ball down. Devin Graham added on 12 more points for the Sages, along with David Alexander with 8 points. Rantoul Eagles shot a total of 53 field goals only making 17, and went 8 for 23 in three-pointers. The Eagles were led by Kamynnn Rome with 15 points, followed by Latavius Winston with 10, and Angelo Brown with 5. Monticello improves to a 6-0 record with the victory over the Eagles, with Rantoul now sitting at 2-6. Next game for Monticello is at Greenville against Hillsboro starting at 1:30 pm. You can catch the game on 95.9 FM WEZC or stream the game on dewittdailynews.com. PLAY OF THE GAME: Ethan Miller stealing the ball throwing off the glass and Ben Singleton slamming down the ball, giving Monticello momentum in the 2nd half. The Bulls had the fans, but Nikola Vucevic and the Magic got the win. Most of the 20,201 fans that packed the Arena Ciudad de Mexico were using the red and black colors from the Bulls, who arrived in Mexico amid reports of turmoil in the locker room under new coach Jim Boylen. Reigning Most Outstanding Player Mikaela Foecke ripped her 19th kill to cap defending champion Nebraska's rally for a 22-25, 16-25, 25-23, 25-20, 15-11 victory over Illinois on Thursday night in the NCAA volleyball semifinals. Nebraska led 12-11 in the fifth game when a Foecke kill was ruled out of bounds. However, Nebraska challenged and the call was reversed after officials went to the video monitor and determined an Illinois blocked had gotten a finger on the ball. The Cornhuskers then went up 14-11 on an Illinois error before Foecke, also the 2015 MOP when Nebraska won the championship, closed it out. Lexi Sun had 19 kills and 10 digs for the Huskers, who have won 13 straight since losing at home to Illinois in late October. Jacqueline Quade had 21 kills for the Illini (32-4), who had won 17 straight. Arrowhead Stadium was already emptying by the time Chargers quarterback Philip Rivers jogged to the locker room, triumphantly waving his hand as a satisfying cascade of boos washed over him. UAB's Bill Clark has won the Eddie Robinson National Coach of the Year Award. Jonathan Toews had a goal and two assists, and the Chicago Blackhawks snapped an eight-game losing streak by topping the Pittsburgh Penguins 6-3 on Wednesday night. Marcus Kruger, Brent Seabrook, Andreas Martinsen, Brandon Saad each had a goal and an assist for Chicago, which rebounded after blowing 2-0 and 3-2 leads to win for just the second time in 12 contests. Alex DeBrincat scored a power-play goal. Corey Crawford made 40 saves for Chicago. DeSmith blocked 23 shots in his sixth straight start and 10th in the last 12 games. Chicago is 4-12-2 under coach Jeremy Colliton, who replaced Joel Quenneville on Nov. 6. Martinsen skated across the crease and was credited with his first goal of the season on a deflection of Dahlstrom's shot at 14:14. The goal capped a flurry around the Pittsburgh net after Kruger fired a shot off the crossbar and DeSmith lost his stick. Seabrook put Chicago ahead 2-0 3:37 later when he fired a shot from the right point over DeSmith's glove. DeBrincat's power-play goal with 4:32 left in the period regained the lead for Chicago. After taking Patrick Kane's feed, DeBrincat skated around Olli Maatta and beat DeSmith on the stick side with a shot just under the crossbar. Ja Morant scored 23 points, distributed 13 assists and grabbed five rebounds, Tevin Brown added a career-high 20 poins with 6 of 11 3-pointers, and Murray State beat regional rival Southern Illinois 80-52 on Wednesday night to win its third straight. Brion Whitley added a career-high 10 and KJ Williams blocked two shots and scored 10 points for the Racers (6-1), who made 11 of 26 3-pointers and held the Salukis to 31 percent shooting. The Racers hit three 3-pointers in their opening 13-5 run and Murray State pulled away on 20-3 run capped by Brown's 3 and led 49-18 at halftime. It's the lowest amount of points the Racers have allowed in a half since giving up 16 points to SIU Edwardsville on Feb. 12, 2015. Williams dunked for a 59-29 Murray State lead early in the second half and the Racers led 75-45 with 4:30 to play after scoring seven straight. 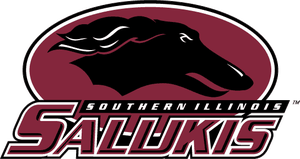 Eric McGill scored 19 points and grabbed nine rebounds, Aaron Cook added 14 points and Sean Lloyd Jr. scored 11 for Southern Illinois (7-4), which saw its five-game win streak end. It will be a classic mentor-mentee matchup when defending national champion Nebraska and Illinois meet in the NCAA volleyball semifinals in Minneapolis on Thursday night. John Cook has coached the Cornhuskers to their fourth straight final four. Chris Tamas has led the Illini to the semifinals in his second year after serving as an assistant to Cook. Top-seeded Stanford plays BYU in the other semifinal. The winners will play for the championship on Saturday night. 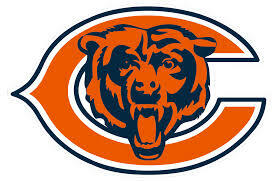 The Chicago Bears have placed cornerback Bryce Callahan on injured reserve because of a broken left foot. Coach Matt Nagy says Callahan will need surgery. He was hurt in Chicago's 15-6 victory over the Los Angeles Rams on Sunday night. A fourth-year pro, Callahan has 45 tackles, two interceptions, two sacks and six pass breakups. Sherrick McManis figures to get the bulk of the snaps at nickel back with him out. The Bears also signed cornerback Marcus Williams on Wednesday. He has appeared in 51 games over five seasons with the New York Jets (2014-17), Houston Texans (2017) and Tampa Bay (2018). The Buccaneers placed him on IR on Oct. 13 because of a hamstring injury and released him nine days later. Kyle Connor scored twice and the Winnipeg Jets beat Chicago 6-3 on Tuesday night to give the Blackhawks their eighth straight loss. Winnipeg led 3-0 after the first period, but Chicago came back to make it 4-3 early in the third. Chicago didn't get its first shot on goal until 17:36 into the game, drawing sarcastic cheers from some fans. Scheifele opened the scoring with a power-play goal when he redirected Byfuglien's point shot at 7:49 for his 17th goal. Myers scored 72 seconds later. Connor's 12th of the season came after he took the puck most of the way down the ice, lost control of it in the slot, got his stick on it and put a backhand shot past Ward's glove at 13:38. Connor scored his second goal of the game off a rebound on the power play at 1:44 of the second, but Strome got the visitors on the board 20 seconds later. Duncan Keith had an assist. He and defenseman Brent Seabrook marked their 1,000th regular-season game together, the most by current NHL teammates and seventh all-time. Kahun squeezed Winnipeg's lead to 4-2 after he banged in a rebound at 7:09. DeBrincat sent a sharp-angled shot between the post and Brossoit to make it 4-3 at 6:08 of the third, but Perreault scored on the power play to regain the two-goal lead at 11:36. Kane extended his points streak to four games with two goals and four assists. Paul Goldschmidt's move from Arizona to St. Louis made Los Angeles Dodgers manager Dave Roberts so happy, he was smelling roses. Chicago Cubs manager Joe Maddon, not so much. St. Louis acquired the six-time All-Star first baseman from the Diamondbacks last week for pitcher Luke Weaver, catcher Carson Kelly, minor league infielder Andy Young and a 2019 draft pick. Roberts' Dodgers will face Goldschmidt a lot less frequently in the NL West. Goldschmidt can become a free agent after next season. Diamondbacks manager Torey Lovullo and general manager Mike Hazen broke the news in a meeting at Lovullo's house. A three-time Gold Glove winner at 31, Goldschmidt hit .290 with 33 home runs and 83 RBIs last season. The big-budget Boston Red Sox aren't looking to cut payroll after winning the World Series. Red Sox president of baseball operations Dave Dombrowski is dismissing reports that he's trying to trade some high-priced players, such as pitcher Rick Porcello. The Red Sox had the highest payroll in the majors for the first time in the free agent era. It was nearly $239 million in late August on Boston's way to a team-record 108 wins in the regular season. Dombrowski says he thinks the team payroll will be over $246 million next year. The Oakland Athletics have reached agreement with catcher Chris Herrmann on a $1 million, one-year contract. General manager David Forst had put getting a catcher among his top to-do items, and the A's found one at the winter meetings. The 31-year-old Herrmann played 36 games for Seattle last season, batting .237 with two homers and seven RBIs. A lefty hitter, he can make an additional $25,000 in performance bonuses for 200, 250, 300 and 350 plate appearances. Kyler Murray has lots of new fans in the Oakland A's organization, even if they cringe watching the Heisman Trophy winner play quarterback for Oklahoma. The Athletics don't want their most recent first-round draft pick hurt on the football field because they're counting on him wearing an Oakland jersey come spring training. Murray is a shifty runner, often dashing from the pocket for big gains. He'll next play Dec. 29 when he leads the fourth-ranked Sooners against bruising No. 1 Alabama in a college football semifinal. An outfielder, Murray signed with the A's for $4.66 million. The 27-year-old Wisdom made his major league debut last season, hitting .260 with four home runs and 10 RBIs in 32 games. He spent most of the season at Triple-A Memphis, hitting .288 with 15 homers and 61 RBIs. The 26-year-old Robinson batted .183 with three homers and nine RBIs in 47 games for Texas. He is from Las Vegas, where this trade was announced during the winter meetings. Former Texas pitcher Brandon McCarthy has been hired by the Rangers as special assistant to the general manager. McCarthy ended his 14-year career by going 6-3 in 15 starts for the Braves last season. He pitched three years for Texas early in his career. The Rangers say the 35-year-old McCarthy will be involved in all aspects of pitching development at the major and minor league level. Whew! See why Mariners fans might understandably be a little apprehensive about the transformation, even after an 89-73 season that failed to end a nearly two-decade playoff drought - they were third in the AL West and missed the playoffs for a 17th straight season. As heard on 95.9 WEZC Monticello traveled to their third road game before heading back to Monticello and picked up their 5th straight win. The Sages beat Warrensburg-Latham 53-29. The Sages were without Garrett Kepley due to an injury acquired in practice, but that didn't stop the Sages as Devin Graham put a season-high 20 points. Ben Singleton followed with 10 points. The Sages were efficient on defense especially in the first half as they held the Cardinals to just 9 points. Warrensburg-Latham struggled to break past the defense of the Sages, Jarius Ingram led the Cardinals with 10, followed by Mitchell Leathers with 9 points. 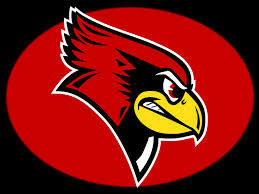 Warrensburg-Latham with losing to Monticello now has a record of 8-4, Monticello improves to 5-0. Next game for Monticello is against Rantoul at Monticello, the game is set for 7:30 pm. Play of the Game: Ben Singleton getting a block on Ingram early in the first to keep Monticello defense strong and Cardinals offense weak. De'Aaron Fox scored 23 of his 25 points in the second half, and the Sacramento Kings rallied to beat the Chicago Bulls 108-89 on Monday night. Fox went 8 for 11 from the field after missing each of his first five shots in the first half. Bogdan Bogdanovic and Marvin Bagley III added 16 points apiece as Sacramento closed out a 3-1 road trip. The speedy Fox sparked the offense with 15 points during the key stretch, but the Kings also picked up the pressure on defense. The Bulls shot 22 for 41 (53.7 percent) from the field in the first half, but were just 6 for 16 (37.5 percent) in the third. Bobby Wagner leaped over the line of scrimmage, swatted Dan Bailey's field goal attempt and sparked the Seattle Seahawks to two late touchdowns. As heard on 95.9 FM WEZC the Lady Sages came back home after their loss to Urbana and came back a new team even with missing a few players winning their home game 46-40 against the Arthur Knights. The Monticello Sages were without Janya Burger and Rennie Fultz, Burger was at a concert for Monticello and Fultz was sick. That didn't stop the Lady Sages from playing hard as Elizabeth Stiverson put on a show of defensive plays. Stiverson was stealing the ball from Knights on multiple drives. Stiverson led the team in steals with 5, Edmundson led the Lady Sages in rebounds as she was a powerhouse down low without the help of Burger and Fultz. Lexi Fisher led the Sages in points as she was 3-3 in 3-pointers, 5-6 in free throws, and had a total of 15 points. The Knights were led by Marissa Herschberger with a total of 12 points, followed by Emma Harris with 10 points. The Lady Sages improved to 2-4, while Knights became 5-6. The Knights went on to lose their 5th game in a row. Monticello broke their losing streak of three. Next game for Monticello is Thursday, December 13, against Warrensburg-Latham at Monticello. Tip-off is set for 7:30 pm. Play of the Game: Edmundson was outstanding at rebounding all game long. One big play she came down powering through getting an offensive rebound then powering back up putting points up for Monticello. In a game heard on WHOW, the Clinton Lady Maroons defeated the Argenta-Oreana Lady Bombers by a score of 51-29. The Lady Maroons were led by Maddie Stevens with 16 points. Mallory Cyrulik added 13 points and Kaile Beck chipped in with 10. The Lady Bombers were led by Camilyn Newbanks with 10 points and Cassi Newbanks with 9 points. With the win, the Lady Maroons improve to 7-5. Argenta-Oreana falls to 2-6. Tune in Saturday, December 15, as the Clinton Maroons take on Beardstown in the Jacksonville shootout. You can hear the game live on the Big 1520 AM/92.3 FM/106.5 FM WHOW, online at dewittdailynews.com, and on the WHOW app. The Chicago Bears harassed Jared Goff and squashed the Los Angeles Rams' high-powered offense while shuffling their way to a surprising victory over the team that came in with the NFL's best record. Brock Boeser didn't need much help during a breakout 2017-18 season. Now he's getting plenty from another star rookie in Elias Pettersson. Tomas Tatar scored the tiebreaking goal on a deflection with 1:17 left in the third period and the Montreal Canadiens beat the Chicago Blackhawks 3-2 Sunday for their third straight win. Max Domi and Shea Weber scored scored in the first period to give Montreal an early lead. Carey Price, starting for the seventh straight game and 11th in the last 12, stopped 37 shots. Patrick Kane scored twice to tie the score for Chicago, which has lost seven straight and nine of its last 10. Corey Crawford finished with 25 saves. The reeling Blackhawks fell to 3-11-2 under coach Jeremy Colliton, who replaced Joel Quenneville on Nov. 6. On the go-ahead goal, after a failed clearing attempt by the Blackhawks, Jeff Petry shot from the left point into traffic in front of the net. The puck went off the tip of Tatar's stick and past a screened Crawford. Chicago went 1 for 8 on the power play, failing to muster much pressure during a six-minute advantage early in the third. Domi and Weber scored 1:31 apart early in the first period to give the Canadiens a 2-0 lead about 7 1/2 minutes in. It marked the 10th straight game an opponent scored first against the Blackhawks. Domi converted a rebound of Mike Reilly's shot from the point 6:05 in after Reilly's drive struck Andrew Shaw in front of the net and dropped to the ice. It was Domi's team-leading 14th. Weber, playing his sixth game after knee surgery, ripped in a rising screened shot from the top of the right circle for his third after taking a feed from Kenny Agostino. Kane connected on the Blackhawks' third power play of the first and cut it to 2-1 as he beat Price from the right circle with a screened shot on the short side with 59 seconds left in the period. Chicago has been outscored 22-5 in the first period in the last 10 games and has had a lead only in two contests - one time was when the Blackhawks came from behind for a 5-4 overtime win at Florida on Nov. 24. Kane's second of the game and team-leading 15th tied it 2-all with 7:05 left in the second. Following a faceoff in the Montreal zone, Kane drifted into the right circle, took a pinpoint cross-ice pass from Dominik Kahun and one-timed a rising shot over Price's shoulder. Chicago wasted three power plays covering six consecutive minutes early in the third when Tomas Tatar was sent off for cross-checking at 1:58, then Jordie Benn got a double-minor for high-sticking Dylan Strome in the face at 3:58. The Blackhawks managed just six shots - and no rebounds - during long man advantage and Price turned them all away. Montreal then failed to connect on two power plays, including a 55-second 5-on-3 advantage, midway through the third. Crawford was sharp during the span, thwarting several close-in attempts. As heard on WHOW, the Clinton Maroons fell to the Rochester Rockets by a score of 49-45 on Saturday night. The Maroons were led by Ben Nelson and Matthew Overton with 16 points each. For Rochester, Henry Patterson and Lucas McCafferty led with 14 points. With the loss, the Maroons fall to 4-6 and Rochester improves to 1-3. Tune in Monday, December 10, as the Lady Maroons take on Argenta-Oreana. You can hear the game live on the Big 1520 AM/92.3 FM/106.5 FM WHOW, online at dewittdailynews.com, and on the WHOW app. The Clinton Maroons fell to Unity by a score of 42-47 on Friday night. The Maroons were led by Mathew Overton with 10 points and Zeke Hickman with 9 points. They made 4 three point baskets and had 14 team fouls. Unity were led by Evan Mieback with 16 points and Brady Porter with 20 points. They made 5 three point baskets and had 13 team fouls. Tune in 12/8/18 as the Maroons take on Rochester. You can hear the game live on The Big 1520/92.3 FM WHOW and online at dewittdailynews.com. Two days after beating the Stanley Cup champion Washington Capitals for their biggest win of the season, the Vegas Golden Knights weren't about to let themselves slip up against slumping Chicago. But they came awfully close. Under center at the 1-yard line, Titans quarterback Marcus Mariota checked out of a quarterback sneak, and Derrick Henry did the rest - as much with his arms as his legs. Cubs closer Brandon Morrow likely will miss the start of the season following arthroscopic surgery on his right elbow last month. President of baseball operations Theo Epstein says the operation took place Nov. 6. Signed to a $21 million, two-year contract last December, Morrow led the Cubs with 22 saves and had a 1.47 ERA in 35 games. He did not pitch after July 15 because of a bone bruise in his right elbow. Epstein says Morrow still felt discomfort, leading to the decision for surgery. Morrow is expected to start throwing in early February. The Cubs announced Thursday they hired Tommy Hottovy as pitching coach to replace the departed Jim Hickey. As heard on WEZC 95.9 FM Monticello traveled to Urbana, playing a tough overtime game losing by three, 61-58. Monticello had a rough start as they were down 21 points at the end of the first half. Monticello was able to rally back into the game with some changes made on defense. Lexi Fisher led the Sages in points with 13, followed by Janya Burger with 11, and Rennie Fultz with 10. Fisher really had a big shot to help keep the Sages tied with the Tigers in overtime. Fisher also led in free throws going 6-6. Urbana, on the other hand, had a great start. Akierra Bufford put up 10 points in the second quarter along with Chian Scott putting up 12. Scott led the Tigers in points with 19 and Akierra with 12. Monticello played great defense to help get them in overtime withholding the Tigers to just 3 points in the fourth quarter. Tigers went on to win, putting Monticello's record now 1-4. Next game for the Lady Sages will be against Arthur at Monticello. Game is set for 6:00 pm on Tuesday, December 10, you can catch that game on 95.9 FM WEZC and stream at dewittdailynews.com. Play of the Game: Lexi Fisher's three-point shot late in overtime keeping them tied with Urbana. At the end of regulation, the Lady Sages and Lady Tigers are knotted at 52, headed to overtime. The Clinton Lady Maroons fell to the Central A&M Lady Raiders by a score of 49-47 Tuesday night. The Lady Maroons were led by Destiny Schlesinger with 13 points. Mallory Cyrulik added 12 points in the loss for the Lady Maroons. The Lady Raiders were led in scoring by Channing Reed with 16 points. With the loss, the Lady Maroons fall to 6-4 (1-1). Tune in Saturday night as the Clinton Maroons boys basketball team takes on Rochester. You can hear the game live on The Big 1520 AM/92.3 FM WHOW and online at dewittdailynews.com. Ondrej Kase scored four minutes into the third period to lift the Anaheim Ducks over the Chicago Blackhawks 4-2 on Wednesday night for their fifth straight win. The Ducks came into the game next-to-last in the NHL in first-period goals but scored a pair in the first 20 minutes for only the third time this season. Montour took a pass from Pontus Aberg near the blue line and fired a 54-foot wrist shot past a screened Crawford for his third of the season less than six minutes in. Sprong, who was acquired in a trade from Pittsburgh on Monday, then beat Crawford top shelf with a shot at a sharp angle. Kase took back the lead for Anaheim in the third when he took Carter Rowley's pass off the boards and fired a shot from the right circle. Connor McDavid hasn't always looked like a natural in shootouts. The work he's put in showed up Wednesday night. K.J. Walton scored 22 points and Ball State held off Loyola Chicago for a 75-69 victory on Wednesday night for its fifth straight win. The Ramblers used a 12-4 surge for a 68-67 advantage with 2:48 remaining. The Cardinals answered with Trey Moses blocking Townes' driving shot in the paint. Teague grabbed the board, ran the court and finished with a step-back jumper in front on the net, drawing a foul. Teague converted the 3-point play, added another layup and the Cardinals led 72-68 with 1:19 left. Ignas Brazdeikis scored 13 of his 23 points in the second half and Jordan Poole made two big plays in the last 2 1/2 minutes to help No. 5 Michigan hold off Northwestern for a 62-60 victory Tuesday night. The game was tied at 58 when Poole fed Teske for a dunk with 2:30 left. After Ryan Taylor made a jumper for Northwestern, Poole drove inside for another dunk that made it 62-60 with 1:53 left. Michigan had a shot-clock violation with 14 seconds to go, giving Northwestern one last chance. Taylor was long on a desperation 3-pointer as time expired. Michigan appeared to be in control after opening the second half with a 9-0 run to make it 45-30 with 17:19 left. But Northwestern came roaring back. Pardon's driving layup sparked a 15-2 spurt for the Wildcats. A.J. Turner's three-point play sliced Michigan's lead to 47-45 with 13:16 remaining, sending a charge through the crowd at Welsh-Ryan Arena and prompting the Wolverines to take a timeout. Brazdeikis helped Michigan settle down, converting a layup to make it 51-45 with 11:30 left. The freshman, who exited for a brief moment in the first half due to a back issue, went 9 for 18 from the field. Darrell Brown scored all of his 18 points in the second half as Bradley rallied for its seventh win, knocking off Little Rock 68-62 on Tuesday night. Brown drilled 3 of 7 from beyond the arc in the second half after Bradley (7-3) trailed 27-21 at the break. The Braves were just 5 of 26 from the floor (19 percent) in the first half before scrambling to finish 22-of-55 shooting (40 percent). Bradley was 9 of 25 from distance while Little Rock made just 4 of 14. Elijah Childs drilled a 3-pointer and followed with a dunk to give Bradley its first lead in the second half, 35-33 at the 15:19 mark. Brown nailed a trey and a jump shot to go up 45-40 but the Braves could not pull away. Brown nailed another 3 and made two free throws for a 58-53 advantage with 3:29 remaining. Dwayne Lautier-Ogunleye added 12 points and Childs chipped in 11 for Bradley, which had lost two straight before beating Little Rock (4-5). A prosecutor has dismissed domestic battery charges against Illinois defensive tackle Lere Oladipo. Assistant Champaign County State's Attorney Brooke Hinman said she dismissed three misdemeanor counts against the 20-year-old after both the alleged victim and a witness changed their stories. The case was set to go to trial Tuesday. Oladipo's attorney, Tom Bruno, told The (Champaign) News-Gazette the case never should have been prosecuted. The Sages came away with another stellar 2nd half putting away the Auburn Trojans. Alek Bundy led the team in steals with over 10 steals. The defense of Monticello held the Trojans down keeping them under 11 points in the first half and only allowing 14 in the second, sealing the game away and final score 46-25. Alek Bundy helped lead this team as he put 10 plus points this game along with several steals. Devin Graham helped put the Sages up early in the first half leading the Sages with 9 points then putting 10 more in the second half. Garrett Kepley also put points on the board with a total of 9. Trojans struggled to get a rhythm as Justin Tanner led the Trojans in points with 8. Payton Krager who was pressured by Bundy all night was able to get 7. Monticello wins their 4th game improving their record to 4-0, with Trojans losing getting a record of 2-1. Play of the Game: Alek Bundy backhand steal of Krager getting the ball down to Graham for an easy layup to start the second half. Nevada senior Jordan Caroline has been named the Mountain West Conference basketball player of the week for helping keep the sixth-ranked Wolf Pack undefeated while averaging 19.5 points and 8.5 rebounds a game in two road victories. Caroline notched his sixth double-double of the season with a game-high 24-points and 11 rebounds in a 73-61 win at Southern Cal. He had 15 points and six rebounds in a 79-65 victory at Loyola Chicago. The Associated Press pre-season all-American shot nearly 47 percent from the field and 40 percent from 3-point range last week. He's hit double figures in all eight games this season. It's the second time this year he's been named the league's player of the week. The Wolf Pack, 8-0, slipped from fifth to sixth in this week's AP Poll. They play Arizona State Friday in Los Angeles. Sean Monahan and Elias Lindholm each had a goal and an assist as the Calgary Flames edged the Chicago Blackhawks 3-2 on Sunday night and moved into first place in the Pacific Division. Derek Ryan also scored and Johnny Gaudreau had two assists for the Flames, who won their second straight game and for the third time in four contests. Jonathan Toews and Dylan Strome scored for struggling Chicago, which dropped its fourth straight and lost for the sixth time in seven games. The Blackhawks fell to 3-8-2 under coach Jeremy Collition, who replaced Joel Quenneville on Nov. 6. Calgary's Mike Smith made 22 saves. Chicago's Corey Crawford blocked 38 shots. Lindholm and Ryan scored power-play goals 1:26 apart in the second period to give Calgary a 3-1 lead after Chicago veteran Chris Kunitz received a major penalty and game misconduct for elbowing Travis Hamonic in the face. The Blackhawks have led only once in their last seven games - at the end of a 5-4 overtime win at Florida on Nov. 24. In their previous six games, the Blackhawks had been outscored 17-4 in the first period and 31-19 overall. So, escaping the opening period tied 1-1, despite being outshot 18-6 by the Flames, was something of a moral victory for Chicago. An opponent scored first against the Blackhawks for the seventh straight time when Monahan knocked in a rebound midway through the opening period for his second goal in two games in third in four. He connected from the left side of the net after Crawford stopped Lindholm from the slot. Toews tied it at 1-all just over three minutes later. Following a faceoff in the Chicago zone, the puck and Toews got by Flames defensemen Noah Hanifin at the left point. Toews raced in alone, cut to the slot and beat Smith with a shot between the pads. The 39-year-old Kunitz, a healthy scratch in six of the last seven games, elbowed Hamonic in the face along the boards at 7:08 of the second. Hamonic dropped to the ice with a bloody nose and Kunitz was sent off. Lindholm scored 10 seconds later, connecting on a shot from the right circle after taking a cross-ice pass from Gaudreau. Ryan made it 3-1 at 8:44, beating Crawford on the stick side from the top of the right circle. Strome's power-play goal with 4:15 left in the second cut it to 3-2. It was the 21-year-old forward's second goal in four games since Chicago acquired him from Arizona. Crawford passed the puck from the crease to Alex DeBrincat near the Calgary blue line. DeBrincat dished to Strome, who beat Smith from the slot with a backhander into the upper right corner. Smith made several close-in saves in the scoreless third to preserve Calgary's lead. While sprawled on his stomach, Smith stopped Artem Anisimov's point-blank attempt with his right pad with 5:14 left. Aldrick Rosas kicked a 44-yard field goal in overtime and the New York Giants beat NFC North-leading Chicago 30-27 Sunday, snapping the Bears' five-game winning streak. The Giants (4-8) blew a 10-point lead in the final 1:13 of regulation. They didn't nail down the win until Janoris Jenkins knocked away a deep fourth-down pass to Taylor Gabriel after quarterback Chase Daniel fumbled on consecutive plays on the rainy afternoon to set up a fourth-and-8. Rosas' third field goal of the game came on the opening series of overtime and was set up by a 29-yard run by Saquon Barkley, who finished with 125 yards on 24 carries. The game was filled with wild play calls. Besides the Cohen pass on what appeared to be a sweep, the Giants saw Beckham throw and catch touchdowns, and Chicago nose tackle Akiem Hicks dive over on fourth down from 1 yard on a play made famous by William "The Fridge" Perry in the Bears glory days in the mid-1980s. Linebacker Alex Ogletree intercepted two passes, scoring on an 8-yard return on the second play from scrimmage. The Giants forced three turnovers and had a season-high five sacks against Daniel, who was starting his second game in place of the injured Mitchell Trubisky (shoulder). A 36-yard field goal Parkey got the Bears within 24-17 in the third quarter. However, Rosas, who kicked a 57-yard field goal on the final play of the first half to make it 14-10, and added a 37-yard field goal after Sean Chandler recovered Gabriel's fumble deep in Bears territory. Coach Matt Nagy tried everything to get the Bears going without his starting quarterback. His fourth-down, first-quarter gamble near midfield led to a 2-yard touchdown pass by Daniel to Adam Shaheen, and Nicks brought back memories of The Fridge with his TD on his first career run. The Clinton Maroons defeated the Maroa-Forsyth Trojans 60-44 Friday night in non-conference action. The Maroons were led by Zeke Hickman with 21 points. Hayden Mitchell led the Trojans with 15. With the win, the Maroons improve to 3-3 and the Trojans fall to 0-1.